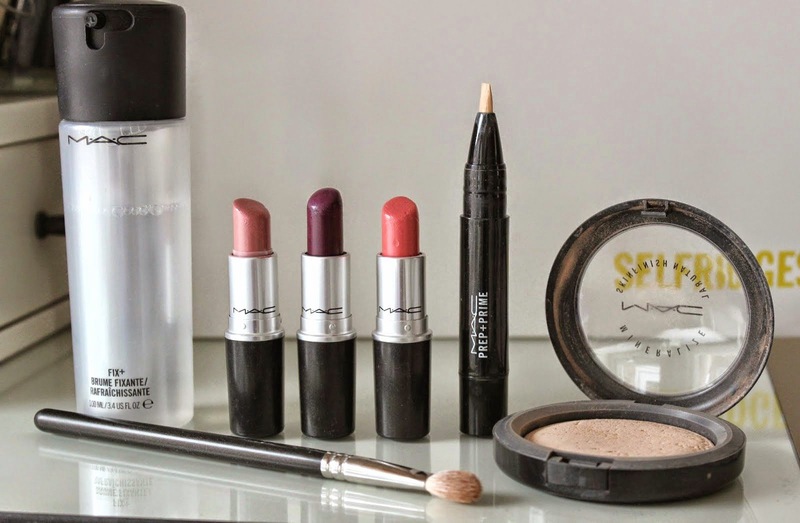 BEAUTY & LE CHIC: Best of MAC - My TOP Five! I swear nothing in this world will ever beat mac's creme cup for me! I'm reading through this post yes, yes, yes, yes! Everything you've mentioned I've tried and loved! My first MAC lipstick was Crosswires, but I think my first ever product there was Springsheen blush when I was 16. I have a few more things I want to pick up but sadly they're only at Pro stores so I'm gonig to wait until I'm in the USA later this year for a bit of a discount! I've never tried Crosswires but a lot of people list it as their fave! Good idea, it's so much cheaper in the US. MAC prices here just keep rising. I'm waiting for my boyfriend to go back to San Francisco for a good ol stock up. 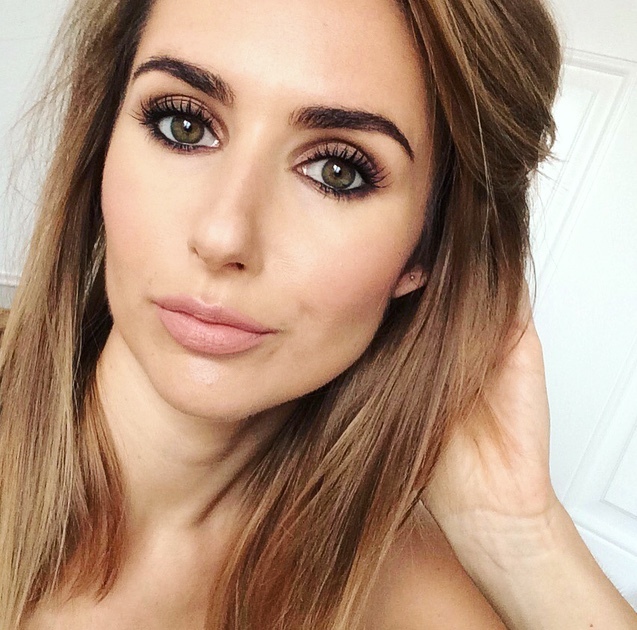 MSF Natural is one of my all time favourite products from MAC as are their lipsticks! MAC's Prep & Prime highlighter is a MUST HAVE. My favorite too!! My first MAC lipstick was Plumful! I hear about Creme Cup all the time but I'm so pale that I think it would wash me out. I want to try MAC foundation but every time I go to a store their sales assistants are rude. At the counter in Fenwick's the male sales assistant told me to Google the difference between the lipstick finishes and at the one in Metro Centre (House of Fraser) the sales assistant stood in front of the lipsticks I was looking at and started rearranging them. Which counter do you use? Maybe I can ask to speak to someone nice! I absolutely love the Prep and Prime Highlighter! Can not live without it! My first ever MAC product was the eyeshadow in Texture. There has been no looking back since then. I now own 15 eyeshadows,20 lipsticks, blushes, concealers, foundations and what not from MAC. Have just bought Prep & Prime - excited to use it! I adore Mac eyshadows! 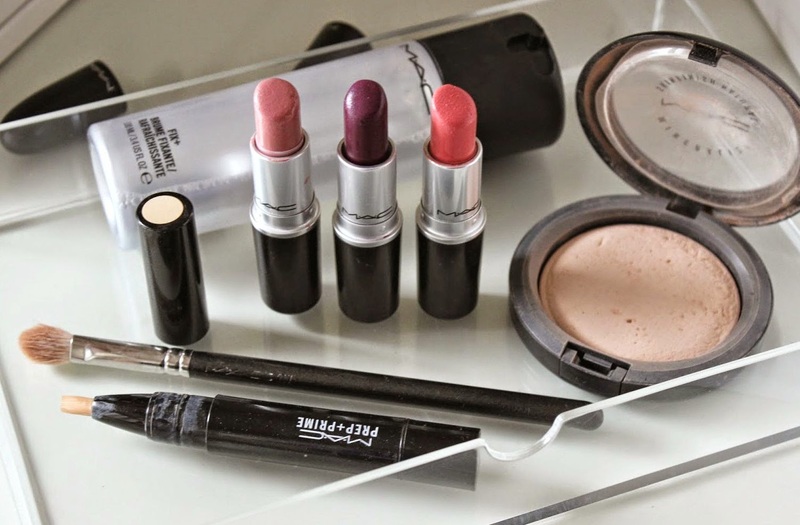 Prep and Prime lips, Painterly Paint Pot, lipsticks like Angel, Relentlessly Red, Rebel, etc. and the eyeshadows. Its very pretty nice of this article and my eye is very small how to apply eyshadows but its nice i try to use this product thanks to sharing this information.nebosh in chennai|Iosh course in chennai|fire and safety courses in chennai|Industrial safety course in chennai| safety engineering course in chennai nice that keep posting.